Lemon juice is considered very effective to whiten your yellow nails. Soak your nails in a solution of lemon juice or simply rub lemon slices on the them. After few minutes rinse your hands and then pat dry with help of soft towel. Repeat this process 2-3 times per week. Mix one tablespoon lemon juice with the same quantity of baking powder, to form a paste. Apply a very small quantity of this paste on the center of each of the yellow nails. Now, with the help of a buffer, gently buff your nails but don't overdo. Then wash your hands and pat dry them. After drying your hands, apply a good hand moisturizer. Scrub your nails with common toothpaste. This removes the stains and brings a natural shine on the nails. Mix three tablespoons of baking soda with one tablespoon of 3% hydrogen peroxide to form a paste. Apply this paste on your stained nails and leave on for about 10 minutes. Rinse your nails with water, pat dry them with help of soft towel and apply a good hand moisturizer. An other effective way to whiten yellow nails is to make use of a denture-cleaning tablet. These tablets whiten and brighten yellow fingernails. Dissolve the tablet in water. Now soak the nails in the solution, for about 15 minutes and then rinse the nails with fresh water and pat dry your nails with help of soft towel. Repeat the process at least thrice a week. (i) Avoid excessive use of nail polish because it can leave yellow stains on your nails. (ii) Avoid smoking because it also leads to yellow nails. 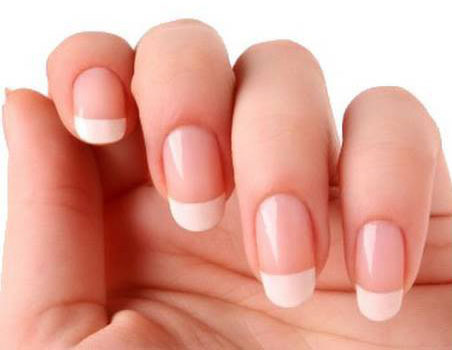 (iii) If your yellow nails don`t get cured by using above remedies, you should consult your problem with doctor.